The story of the first attempts in Norway to form airlines is interesting right from day one. As early as 1912, the first company was formed, although not with the aspiration to become a national airline in the presence sense of the word "airline". 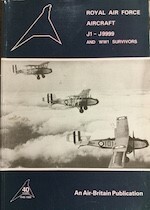 It was simply formed to organise joyrides and demonstration flights. During the First World War (1914 - 18) Norway held a neutral status, with all civil aviation banned until 1918. 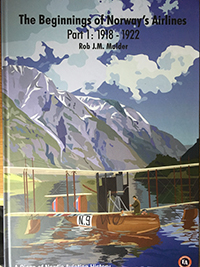 In this book, the author presents the first airlines formed in the period up to 1922 and shows the development of commercial aviation in Norway. The main story features the first major airline: Det Norske Luftfartrederi AS (DNL). The founders of this airline were the economist Dr Wilhelm Keilhau and the technical genius Naval Captain Halfdan Gyth Dehli. Initially, they wanted to open an air service between Norway and Great Britain to safely transport overseas mail. The end of the war halted their original plans, but they soon turned DNL financially into a solid company. Negotiations with British, Swedish and Danish authorities and their existing airlines commenced with the goal to make an overall plan for an international network of air services that include Norway. The Norwegian company was one of the founders of the International Air Traffic Association (IATA) and tried to work within that framework on its own agenda. The political and financial situation in Norway was very sound in the days right after the war. However, after 1920, the economic climate changed for the worse and DNL was forced to cease its activities. It only operated the air service Stavanger - Haugersund - Bergen for two months during the autumn of 1920, flown by seaplanes and flying boats. This book details the history of DNL and the other Norwegian airlines formed in the years up to 1922. In addition, it will give the reader a closer look at the development of flight in Norway and the history of "Norsk Aeroplanfabrik", an ambitious private aircraft factory.